Join us for a delicious weekend to refuel the body and make energy flow again. 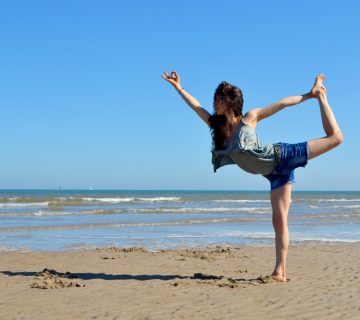 We will practice replenishing yoga, meditation and pranayama with Tina. AND we will eat, cook and talk about healthy food with Johanna. You will get 10 classes of delicious yoga sessions, meditation and pranayama and fresh meals every day cooked by nutrition coach Johanna. During your free time you can walk along the beach or chill out in the Spa area of the center. The whole center is reserved just for our small group with max. 14 people. From Thursday to Sunday you will experience pure nourishment for your body, mind and soul. We are looking forward to spend this special weekend with you. Attention please, you might leave feeling full of energy and ready to make healthier choices in your life!